(ii) establishment of germplasm bank for indigenous and exogenous horticultural crops for future research and (iii) production of elite planting materials. 1. Production of hybrid TPS seeds – highest in the world – for catering the requirements, within and outside the state for production of table potato. 2. Trials on performance of hybrid varieties of major vegetables and standardization of agro-techniques for cultivation of off-season and exotic vegetables for rendering necessary advice to the farmers in the state. 3. Collection, conservation and improvisation of Jhum vegetables and chillies. 4. 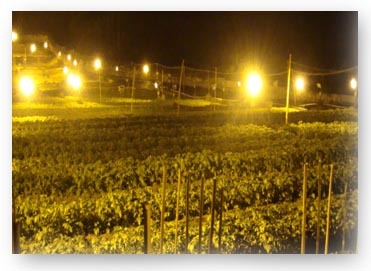 Production of vegetable seeds through registered growers’ under certification arrangements. 5. Standardization of techniques for canopy management, rejuvenation, meadow orcharding and high density plantation of different fruit crops of the state for increasing profitability. 6. Production and supply of vegetatively propagated grafts/buds etc. of plantation crops to the growers. 7. Stanardization of techniques for profitable cultivation of spices in Tripura. 8. Standardization of techniques for profitable cultivation of exotic flowers in Tripura. 9. Training and capacity building of growers’ and extension agencies. Sri Devilal, former Dy. Prime Minister, India, Sri N.M. Routroy, Sri V. Reddy, & Sri N.M. Mirdha former Union Ministers, GOI, Sri Ramesh Bhandari, His Excell’y Governor of Tripura, Sri Manik Sarkar, Hon’ble Chief Minister, Tripura, Sri Shyam Benegal, Film Director and Sri G.B. Singh, DDG, ICAR. 1.Trial on Production of seed materials through Bud Chip method in large scale conducted at HRC nagicherra. 2.Study on Macro Propagation of Banana.